Male pattern baldness (MPB) is by far the most common type of hair loss, accounting for around 95% of hair loss in men. Male pattern baldness can kick in at any time if your life – as early as your teens, or as late as your fifties or sixties, if you’re lucky! It affects up to one third of all men, and by the age of fifty, it’s estimated that 50% of men are experiencing significant hair thinning. 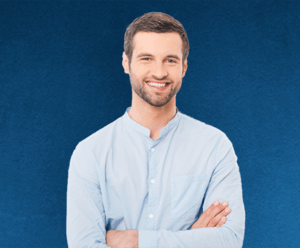 Also known as androgenetic alopecia, male pattern baldness is something millions of men are currently going through – but despite its prevalence, it’s actually one of the toughest hair loss conditions to spot. Despite being so common, male pattern baldness is actually quite tricky to spot – you might not even notice you have it at first! With MPB, you don’t lose handfuls of hair in the shower, and you won’t notice perfectly round balding spots on your scalp, as you might with alopecia areata. Male pattern baldness shortens the hair cycle and causes the hair to thin over time. You may still be shedding the regular amount of hair (experts believe we shed 50-100 hairs every single day), but when the hairs grow back, they will be thinner, with less pigment, and they’ll stay on your head for a shorter time before falling out and repeating the process again. Eventually, some follicles will just stop producing a hair altogether. Over time, men with male pattern baldness will find that their hair is getting steadily thinner – especially on the crown and at the temples. Men may also start to experience a receding hairline, which recedes continuously backwards until it meets with the thinning hair on the crown. Androgenetic alopecia, or male pattern baldness, can be attributed to one tricky little hormone that exists in all of our bodies. Dihydrotestosterone (known as DHT) is a distant cousin of testosterone, and the most significant factor in male pattern baldness. Exposure to this hormone makes hair follicles in certain areas of the scalp spend more time resting and less time growing. This process is called miniaturisation. The areas of the scalp that are most significantly affected are the crown, the temples and the hairline. Why these areas? This is where your follicles are most genetically sensitive to DHT. Yes, that’s right – male pattern baldness is largely down to your genetic make-up. But as with all types of hair loss, there are other factors at play. Genetics , hormones and age all play an important part in the progression of male pattern baldness. If this type of hair loss is encoded into your genes, it’s very likely you’ll experience hair thinning at some point in your life. But when it occurs, how fast it progresses and what the end result will be will be dictated by a mixture of age and hormones. Some men experience male pattern baldness at a particularly young age, due to genetic factors and hormones. Some men may notice very slow thinning throughout their entire life, increasing slightly as they age. It varies between individuals – and unfortunately, there’s no way to predict what each person’s hair loss experience will entail. Even in this thoroughly modern world, there’s still no miracle cure for male pattern baldness. But there are treatments which can be carried out to help slow down and even reverse the progression of thinning hair due to MPB. 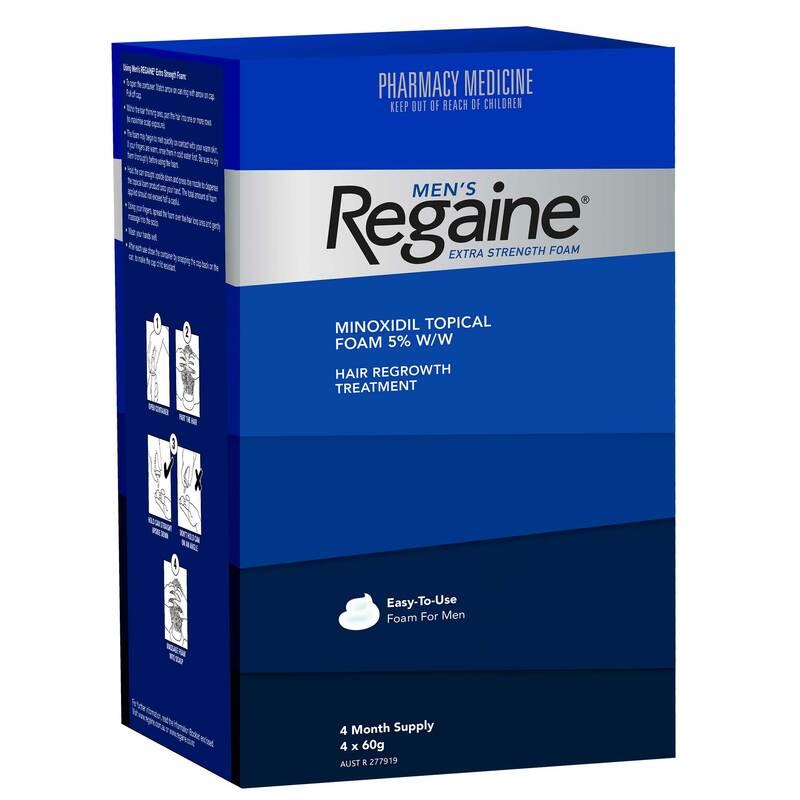 Men’s REGAINE® Extra Strength Foam helps reverse the progression of hereditary hair loss and can even regrow hair. It’s already given millions of men across the globe their confidence (and some of their hair) back. Learn more about REGAINE® and other types of hair loss by exploring our comprehensive hair loss information section. Male pattern baldness is a condition that can be inherited from either the mother's or father's side. Male pattern baldness can start in your teens, 20s or 30s. Learn about female pattern baldness.